Rated 5 out of 5 by MrFlynn from Relaxing & Fun I love all of the games in this series as the music is upbeat, the drawings are colourful and pleasing to the eye (big enough to see unlike some games that are too small) and it's fun to play because I always feel as if I'm on vacation with the scenery and the happiness theme. Rated 5 out of 5 by ousyd from love this series I look forward to seeing a new Park Ranger hidden object puzzle on this site. I like the challenge they provide. The graphics are great and well defined. There is plenty to challenge you when seeking the objects in my opinion. the option to earn the gold stars for each game is quite enjoyable as well. Blue Teams games are a personal favorite from Big Fish and i own several of the hidden Object as well. Rated 5 out of 5 by Bumbles2 from Beautifully done...as always !!! I played one of these vacation adventures a couple of years ago and at first I didn't like it...but I'm not a quitter so I gave it another hour or two and I was addicted to this series !!! Not only is this game a fun game to play but it totally immerses you into the adventure...it feels like you are actually there !!! I believe the artists who did the graphics for these games are extremely talented...every time I play I'm amazed how well done they are !!! Music is really nice too...it relaxed me totally after a busy day !!! There were some challenging areas as far as the puzzles go but they are all doable...just sit back and use some strategy !!! Anyways, this is definitely a fun game to play...I've got my car packed and heading to the park now...hope to see you there too !!! Rated 5 out of 5 by J9CT from Relaxing but not that easy!!!!! This is a good de-stressor game but not as easy as one would think. 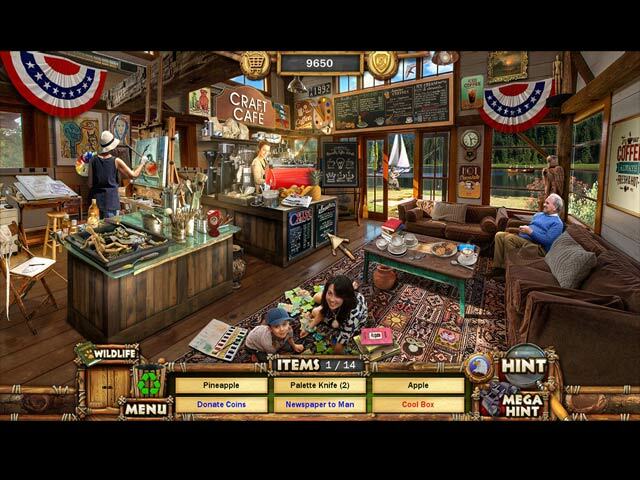 There's no collecting of inventory, trying to solve mysteries etc, just good clean hidden object scenes. Yes there's no real story and the game is way too short but its a whole lot of fun and its really not that easy to find all the objects. Just sit back, relax and enjoy because sometimes its nice to play a game where there's no solving of a mystery etc. 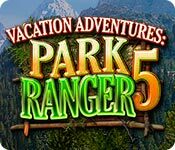 Rated 5 out of 5 by dearl from Vacation Adventures:Park Ranger 5 I started out with "5" and have not played the other four but I am loving this one! It is challenging enough to keep my attention and I find it hard to find a stopping point------I just want to keep going. And I did keep going until I got to the skydiver puzzle! I have wanted to give up on it and hit the "SKIP" button so many times but am determined to get it finished, even though I am able to put only 2-3 pieces in each time I try it! 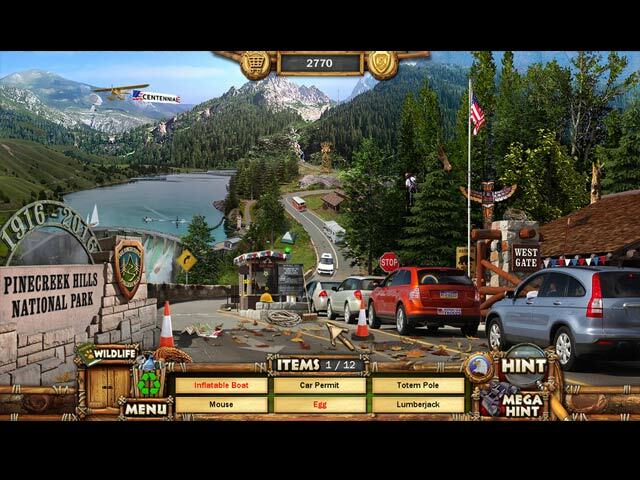 If you love hidden object games and interesting puzzles, expect for the one previously mentioned, you will love this game! Rated 5 out of 5 by OldVermonter55 from If you liked the others, you'll like this one Simply put, if you've played the other entries in this series and liked them, you'll like this one. It's pretty much the same game with more complex scenes. There have been a few tweaks and all of them improve game play. FOR THOSE WHO HAVEN'T PLAYED this sort of basic HOG, read on. There are a lot of HOGs that have story lines and characters. Typically some kind of creepy supernatural goings on. The trouble with those is that you have to remember the plot, where you are in the story and what you are trying to do. If you are like me and play for a few minutes here and there, that can be a problem. Those games also look even sillier for having tried to have a plot, if you know what I mean. Games like this one drop the pretense and simply allow someone to play for 15-20 mins and then come back even days later and continue playing. Also, because it is not plot driven you can play these games over and over again and thus really get your money's worth. So go ahead and give this a shot, you'll like it. Rated 5 out of 5 by dumplie from My favourite I love this game and the Cruise Director version too. The game is fun to play with just the right amount of challenge. I cannot wait for Park Ranger 6 - hope it is released soon !!!!!!!! 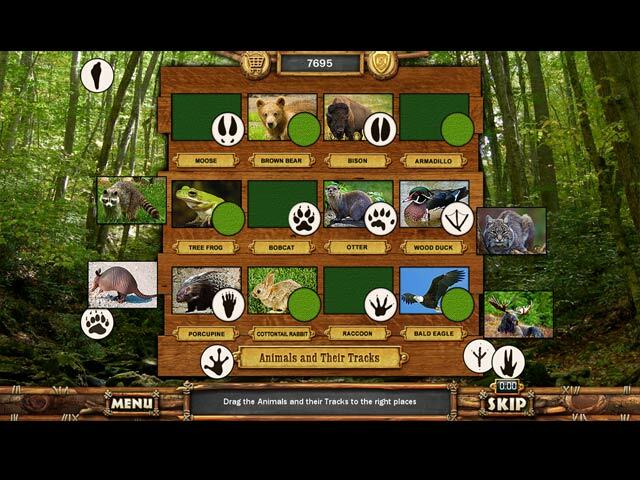 Rated 5 out of 5 by denniann2 from another great game in the series you have your own park within the service now and you are running pinecreek park. it is an HO game just as the rest of them are with a mini game at the beginning of each scene. there are many different kinds of mini games. the items are small just like the other games and hard to find. if your eyesight is bad you will need to magnify the scenes or put your reading glasses on. i have bifocals and still had a time with the items. there is another coming out and it tells you at the end of the game. Rated 5 out of 5 by skye1945 from Simple Pleasures I love this range of games being so tired of the endless chasing around and macabre themes of the other so called HO games. This is straightforward searching for things which are findable interspersed with mini-games that do not over tax the little grey cells. The scenery is attractive and I feel good at recycling all the rubbish!! !